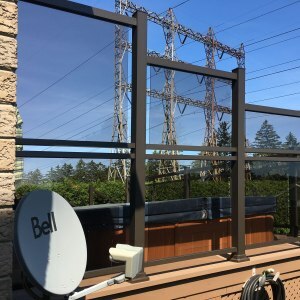 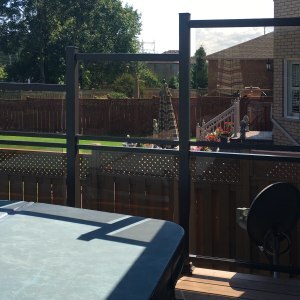 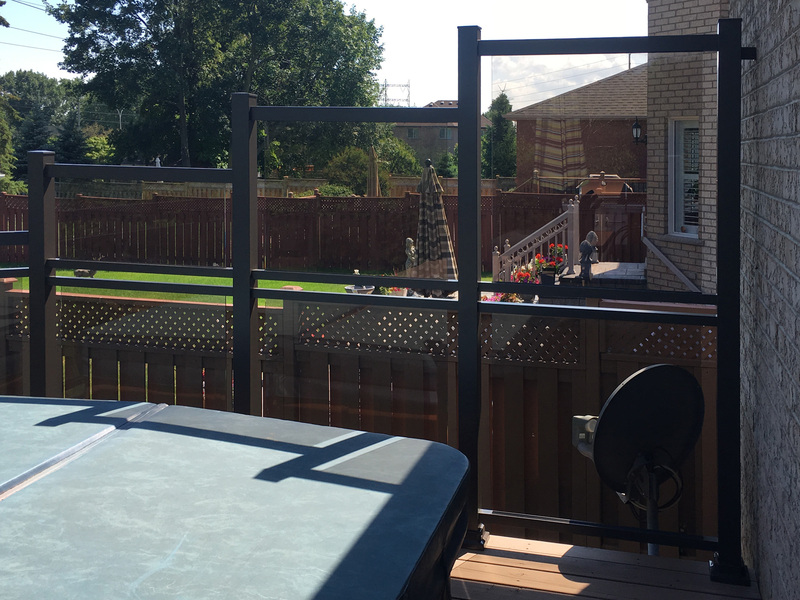 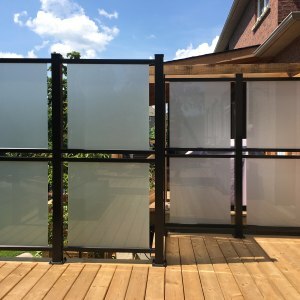 Glass privacy dividers are great for creating privacy on large decks. 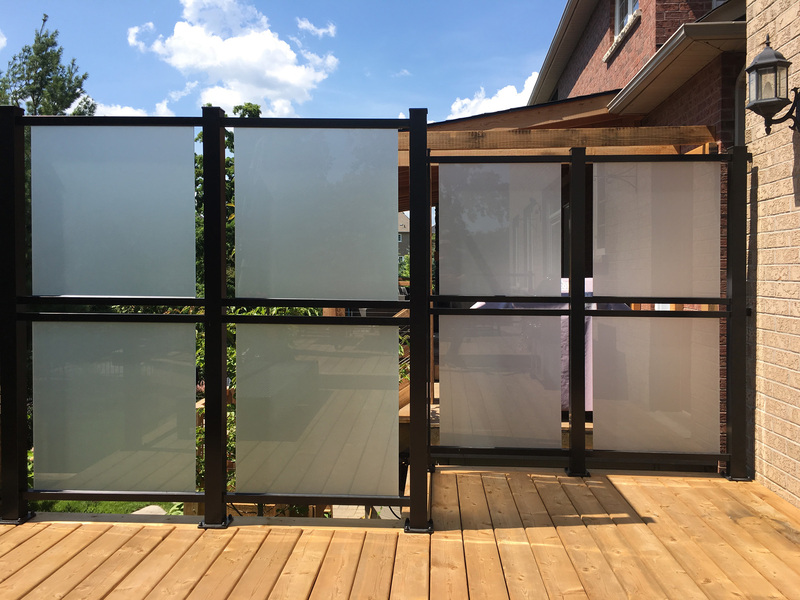 Glass dividers are build with 3″x3″ aluminum posts and can be 5 or 6 feet. 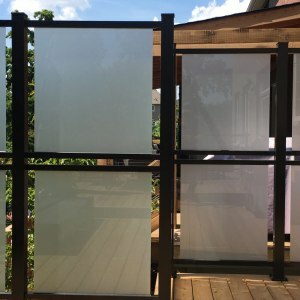 The maximum glass width is 48″. 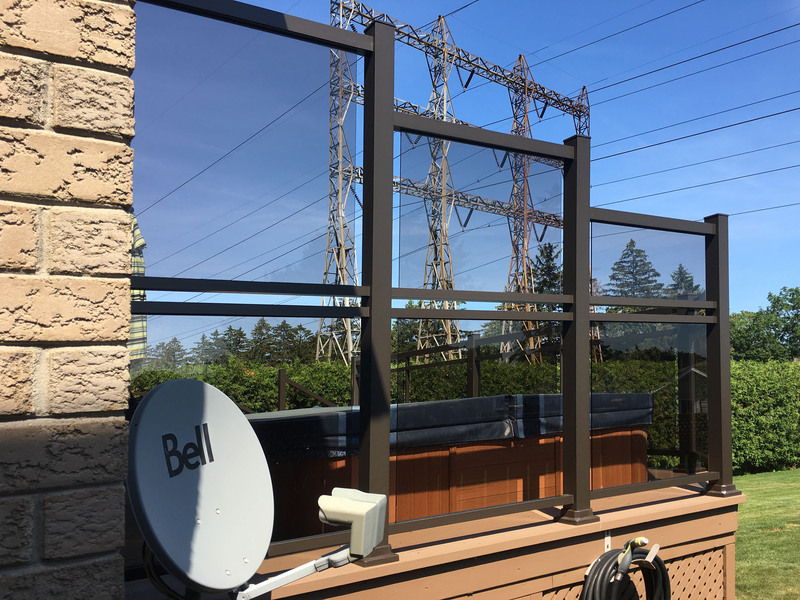 These dividers usually have 2 vertically mounted glass panels with 2″ gap between glass and post for wind escape. 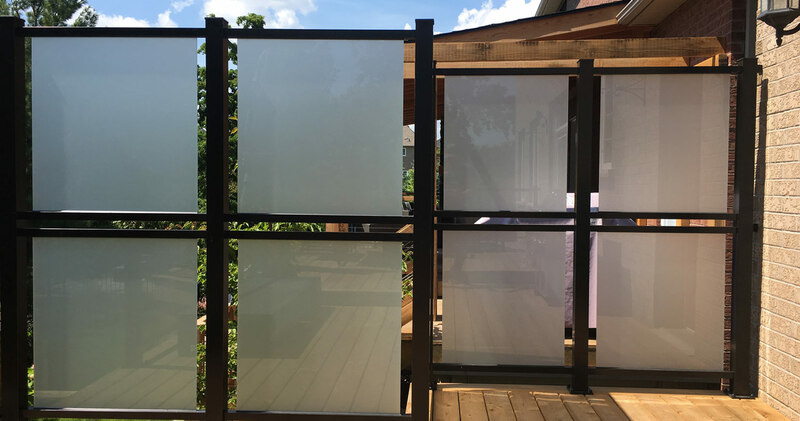 Available glass finishes are sandblast, acid aged and different color tint.